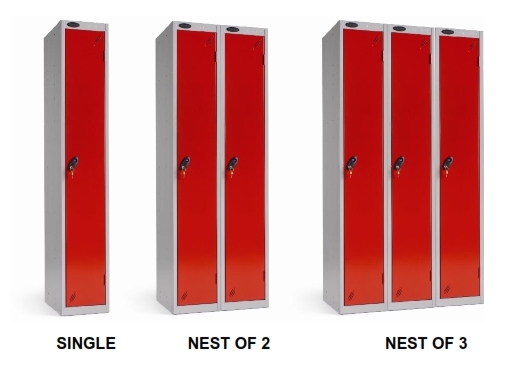 One locker with 2 slim compartments designed for 2 individual User. 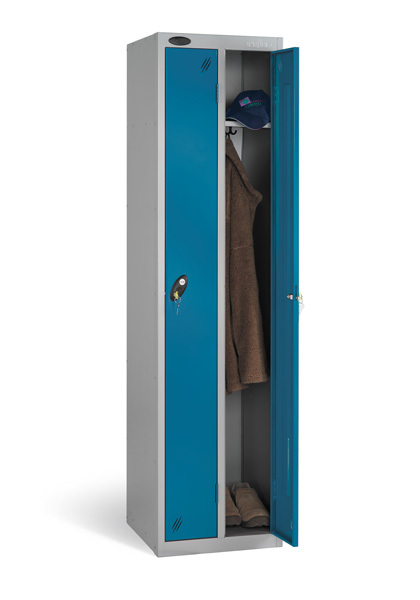 Each Compartment comes with a 305mm high internal top shelf and a double coat hook per compartment. In a range of colours with a range of lock options.